The Volta Regional capital, Ho, will host a route march and a durbar of chiefs and people to mark the 36th anniversary of the 31st December Revolution. 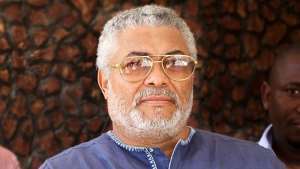 There will also be a wreath-laying ceremony and the lighting of the perpetual flame during the ceremony, which will be attended by the leader of the revolution, former President Jerry John Rawlings, a statement signed by Kobina Andoh Amoakwa, Head of Communications, said. The commemoration is a sober and reflective moment which seeks to remind the Ghanaian populace of the principles that underpinned the popular revolution. This was revealed at the inaugural meeting of the Local Organizing Committee spearheaded by the Volta Regional MPs Caucus Chairman Emmanuel Kwasi Bedzrah and the Volta Regional Chairman of the National Democratic Congress (NDC), John Kwadwo Gyapong. Other members of the committee include the immediate past Regional Minister of the Volta Region, Helen Ntosu, former Deputy Regional Minister Francis Ganyaglo, MP for Ho Central, Benjamin Kpodo, Chairperson of the Volta Women's Working Committee and former minister of state, Dzifa Attivor, former MP for Ho Central Capt George Nfodjo and the former Regional Chairman of the Volta Regional NDC, Kwasi Aboagye. The committee, which reflects the aspirations of all interest groups, also includes the cadres of the revolution, led by their Volta Regional Chairman Comrade Frank Adoba. Also represented were the Regional Youth and Women's wing of the NDC, the Ho Central NDC, the Muslim community and the 31stDecember Women's movement. The inaugural meeting was attended by members of the Central Planning Committee led by the Secretary of the National Interim Management Committee of the United Cadres Front.